War Tribe state that their values are all about Innovation, Passion and ultimately, Excellence. If you peruse their collection of Gi’s, rash-guards, shorts, etc. you’ll see that is 100% true. Everything that they make looks incredible. Everything is at the cutting edge of style. They’ve managed to meld their own innovation and unique designs but without sacrificing the traditional feel. If you love fashion and style and want to bring it to the mats but aren’t a fan of the overly garish aesthetics that are sometimes common with newer companies, War Tribe might be for you. It feels like War Tribe have really managed to nail the future down with their gear and that they’re going to be at the forefront of the BJJ gear world going forward. As with their warrior ethos, their gi’s are designed for battle. Yes, pretty much every gi that they’ve ever designed looks incredible, but they are also tough. They look pretty but they’re made of sterner stuff than many other gi’s and they will be able to withstand a hell of a beating for a long period of time. Their gi’s truly are gi’s that will last you a long time. Which may be a bad thing as you’ll find it harder to have an excuse to buy even more gi’s from War Tribe as they simply won’t rip or tear. War Tribe are always learning and adapting to stay at the top of their game and to provide you with the best possible BJJ experience. There used to be a time when you could only wear a boring white gi, maybe a blue one and a black one if you were lucky. But now, with so many gyms spread out across the world, the old traditional rules and barriers have mostly broken down. Most gyms these days are happy to let you wear what ever colour or style of gi you like. You’ve no doubt seen countless different colours on the mats but we doubt you’ve seen anything quite like this Legacy II gi from War Tribe Gear. This gi is stunning with it’s grey body and light blue accents. If you don’t like wearing what everyone else is wearing, then this gi is for you. But make sure you grab it quickly, because it’s a limited edition gi. People all over the world are frothing at the mouth to make sure they get them before they run out so you’ll have to act fast to acquire one. The jacket is 400 GSM pearl weave using premium 100% cotton fabric. This fabric allows you to stay cooler and fresher for longer, whilst also allowing the gi to dry quicker than other materials. Which is great, because with a gi like this, you’ll want to be using it as much as possible, not waiting for it to dry. It features Zero-Grip competition style sleeves which are sleeves that are far more tapered and shorter than usual. This means that your opponent will have less to grab on to, giving you a huge advantage in competition and in hard training where you want to work your offence. If you’re not yet used to BJJ, the gi can be extremely uncomfortable. They can feel heavy and unwieldy, hot and stuffy, etc. Hell, even if you’ve been training a long time, the gi can sometimes feel like a hindrance more than a help. This hydrogen gi from War Tribe combats these old-age problems by being as light and thin as it can possibly be. This makes it perfect for beginners by giving them a gi that is as comfortable as can be reasonably expected, to ease you into the sport, not put you off from ever even getting into it because of the gi. This is also the perfect gi for someone who’s on the cusp of an unwanted higher weight class as well as those who train in a hot climate. In places like Brazil where the weathers hot and the fighters are fierce, you’ll want every little advantage you can get just to get through the session. Despite the aforementioned lightness and thinness of the gi, it is still strong. With double reinforced on problem points such as the knees, you can expect the gi to withstand any opponent without falling apart on you. This is the second generation of ultra-light gi’s designed and released by War Tribe. War Tribe have taken their already excellent ultra-light gi’s and improved them even further. They’ve looked at what works and made them even better as well as looking at the negatives and fixing them to make a superior, ultra-light gi for you. Every gi that War Tribe make is fantastic. There isn’t a single weak product in their product line and every item shines on its own. But none stand out quite as much as this stunning Reaper gi. War Tribe have made the gi as sleek and monotone as possible, removing as many embellishments and design features as they possibly could to make this the minimalist BJJ trainers dream gi. It’s sleek and has an aero-dynamic feel with all the unnecessary rubbish removed from it. It has a none-more-black colour scheme with only a few, minor dark-grey logos in the usual places such as next to the lapel, one thigh, shoulders, etc. But inside the gi jacket, is a large-scale motif of the grim reaper with a light-blue background… with the grim reaper also wearing the reaper gi himself. This gi really does look incredible without being too in your face. The quiet confidence gi, not the brash, arrogant gi. Perfect for those who prefer the understated approach. 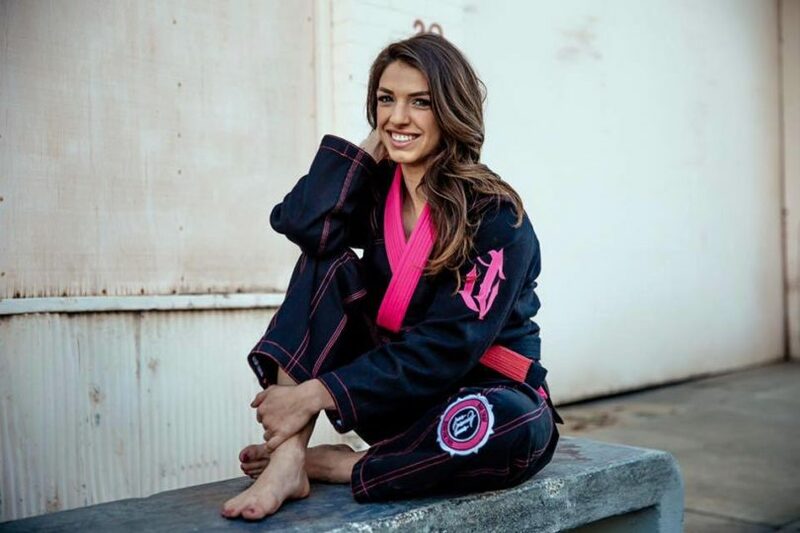 It features a sublimated mesh lining making the gi incredibly breathable, allowing both you and your gi to stay fresher for longer and making the gi as light as possible to increase your comfort even further.